FELA DUROTOYE is the Chief Executive Officer of the GEMSTONE Group, a leadership development institution with a distinct mandate to raise a Generation of leaders that are Empowered, Motivated and Stirred To Operate with Natural Excellence (GEMSTONE). Fela has a Bachelor of Science Degree in Computer Science with Economics, as well as a Masters degree in Business Administration (M.B.A) and a Master of Philosophy Degree (M.Phil) in Strategic Management, all from the obafemi Awolowo university, ife.Fela is an Alumnus of the Kennedy School of Government of the prestigious Harvard University in the United States as well as an alumnus of The Leadership Institute in Arlington, Virginia. 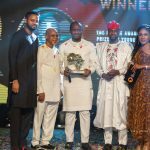 Most recently, Fela Durotoye was recognized by the Universal Peace Federation and the Youth Federation for World Peace as a UNITED NATIONS YOUNG AMBASSADOR FOR PEACE. He has won several national and international awards for his leadership development and nation building activities. Fela started his career as a Project Finance Analyst in Ventures & Trusts Limited (V&T) in 1992. In 1998, he brought his experience to Phillips Consulting Limited (PCL) where he excelled to head the Customer Service Group. 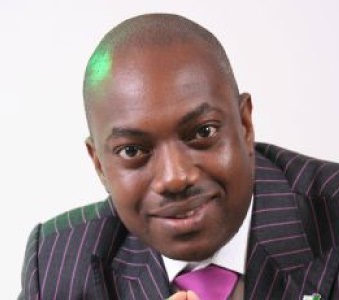 In 2001, Fela Durotoye established V.I.P CONSULTING Limited. In 2007, V.I.P Consulting went through a corporate transformation from a purely management consulting firm into a social enterprise called VISIBLE IMPACT LIMITED. Fela DUROTOYE is widely acclaimed as Nigeria’s most sought-after transformational speaker and his passion for Nigeria has earned him the petname “Mr. Nigeria”.